Get the plumbing services you need today! 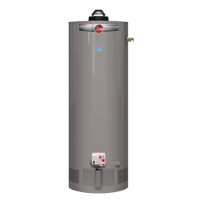 Need water heater repair or replacement? Clogged drain? Call Joyner Today! Do you need to replace your sewer line? Joyner Plumbing is family owned and operated and has been serving South & South West Ft. Worth for 65 years. Whenever you need a plumbing service or repair specialist think of us and we will be there. Our Trusted technicians are trained to provide the highest quality service and customer satisfaction and with our advanced equipment we can fix your problem fast. Joyner repairs and services all makes and models of water heaters and installs tankless and tank water heaters. Get in touch with Joyner Plumbing when you need plumbing services. We are ready to help you! Do you need drain cleaning services? Call Joyner Plumbing today for prompt and professional drain cleaning services. If you need gas line service or repair call Fort Worth's gas line experts at Joyner. We are ready to help you from gas line installation to repair.